Open the web browser and type the IP Address of the device in the address bar (default is 192.168.1.1) then press Enter . 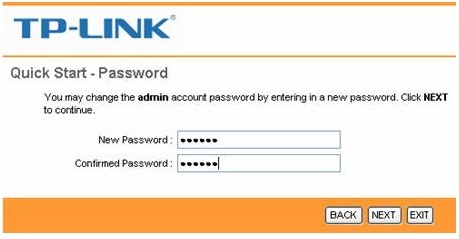 Type the username and password in the login page, default username and password are both admin . 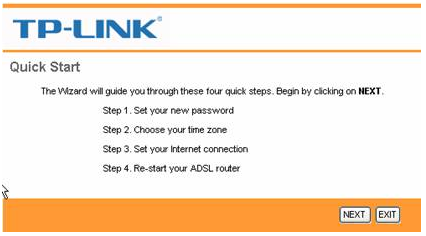 then click OK.
Click RUN WIZARD and click NEXT to configure the ADSL Router. Type User name admin and password admin and click next. Select the correct Time Zone and click NEXT. 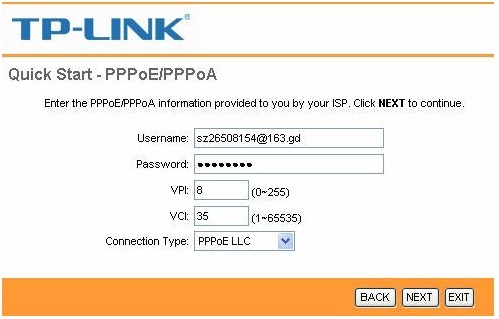 Select PPPoE/PPPoA and then click NEXT. Enter the Username and Password provided by your ISP. 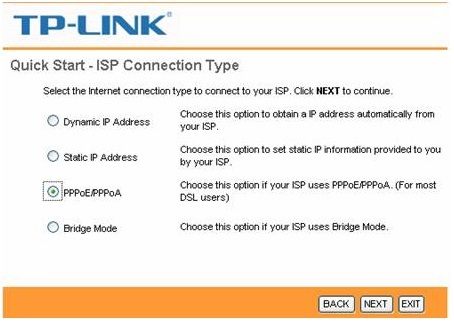 Input correct VPI and VCI which also are provided by your ISP. Then click NEXT.